In Seattle’s large and vibrant Sephardic community, Spain’s new law offering dual citizenship to descendants of Jews it kicked out in 1492 is prompting mixed emotions. On a recent morning, in a roomful of people dedicated to keeping the centuries-old Jewish language of Ladino alive, Doreen Alhadeff explained why she plans to become a Spanish citizen. Spain expelled its once-numerous Jews in 1492 during the Inquisition, sending the so-called Sephardic population into the Ottoman empire and beyond. Following a resurgence of interest in this part of its past, Spain passed a law in June that conveys citizenship rights on descendants of the diaspora. Luis Portero, counsel for the Spanish Federation of Jewish Communities, will speak in Seattle on Sept. 1 about how descendants of Sephardic Jews can apply for Spanish citizenship. 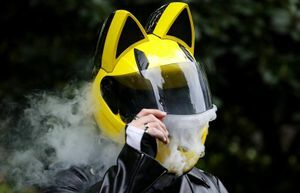 The event will be held from 7 to 9 p.m., in Room 110 of Kane Hall, University of Washington. There are, however, conditions. That — plus resentment toward a country that produced a defining and tragic moment in Sephardic history — is causing Seattle’s unusually large and vibrant Sephardic population to view the offer with mixed emotions. 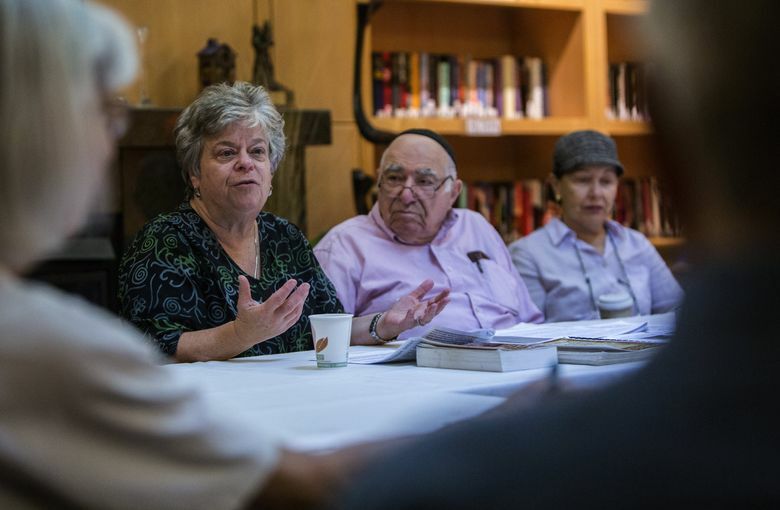 “They kicked us out and now they’re making us go through hoops?” said Victor Amira, a member of the “Ladineros” — a group that meets Tuesdays in the library of The Summit at First Hill, a Jewish retirement community, to study letters and texts in the onetime language of the Sephardim. Addressing Alhadeff, who had come to brief the group as part of an ongoing effort to spread the word, Amira was referring to requirements that include passing Spanish language and cultural- knowledge tests, getting certification of one’s Sephardic heritage and traveling to Spain to finalize the paperwork for dual citizenship. Still, Amira is incensed. “They should pay us!” he said. “I’ve heard that many times: ‘They kicked us out,’ ” responded Alhadeff. Yet Spain, she said, is spending a lot of time and energy making amends. It rings for Alhadeff, who cofounded an online site for the local Sephardic community and belongs to a prominent family within it. Her grandmother Dora Levy is believed to be the first Sephardic woman to come to Seattle, arriving in 1906. The first Sephardic men, two friends named Jacob Policar and Solomon Calvo, had arrived in 1902. Policar is the grandfather of Alhadeff’s husband, Joseph S. Alhadeff, who develops real estate for the Benaroya family. These and other Sephardic pioneers, hailing largely from Turkey and Greece, built a community with a culture and language distinct from the Yiddish-speaking Ashkenazi Jews of Central and Eastern Europe. The Sephardic population around the Puget Sound, which represents 8 percent of the region’s overall Jewish population, numbers about 5,000, according to a 2014 Jewish Federation survey. That makes the community the third largest in the country, after New York and Los Angeles. Alhadeff, a 64-year-old real-estate agent with cropped hair and a penchant for dangling earrings, grew up in Seward Park — still the heart of Seattle’s Sephardic community — hearing her grandparents speak Ladino. Her grandmother, a onetime interpreter who spoke Ladino, Yiddish, Turkish and English, was an especially important figure in her life. She used to call Alhadeff “mi alma,” an endearment the younger woman didn’t think much about until she went to Spain as a college student and heard someone in a cafe use the term. “I almost fell out of my chair,” recounted Alhadeff, who just then realized that the endearment stemmed from the Spanish words for “my soul.” It was one of the things that made her feel a deep affinity for Spain. This spring, living in Spain for three months to help organize an international conference of Sephardic Jews, she reaffirmed her connection. Although only about 40,000 Jews live in Spain today, the government has made a commitment to righting its past abuses, as Alhadeff sees it. She pointed out that she worked on the conference out of a government-funded Sephardic center and that a Spanish brochure and website map historic Jewish settlements around the country. She visited the town of Ávila, where the government preserved an ancient Jewish cemetery, one of a number of remnants of Jewish life still to be seen. She went to another town, until recently called Castrillo Matajudios (Spanish for Camp Kill Jews), where the populace voted to change its name to Castrillo Mota de Judios (Jews’ Hill Camp). “The Spain of today is clearly not the Spain of 1492,” Alhadeff said. But those who view Spain with a jaundiced eye wonder whether the country’s new embrace of the Sephardim stems from “a pragmatic move by Spain to attract Jewish business, investment and tourism,” as Rabbi Marc Angel, director of the Institute for Jewish Ideas and Ideals in New York, put it in a blog post last year. Then there’s the fact that not all Sephardic Jews see Spain as the focal point of their identity. “My parents were born in Turkey,” said Ladinero member Marlene Souriano-Vinikoor. “We don’t eat paella,” she continued, referring to the classic Spanish dish. “We adopted a Turkish cuisine.” She cited as an example stuffed grape leaves, which she and her relatives refer to by the Turkish name, Yaprakes. Sephardic Bikur Holim Congregation, in Seward Park, emphasizes its “unique Turkish customs” on its website. Nearby Congregation Ezra Bessaroth says on its website that the Sephardic synagogue “fastidiously” upholds the traditions of its homeland — not Spain, but the Greek island of Rhodes. 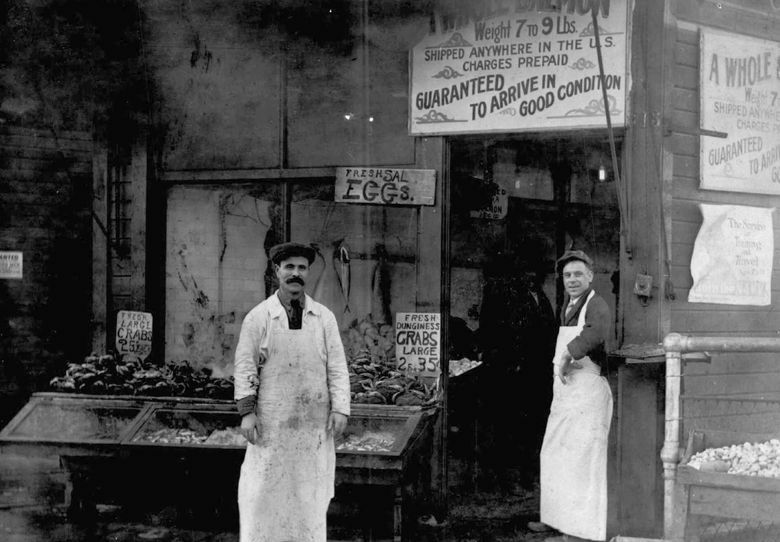 Devin Naar, chairman of the Sephardic studies program at the University of Washington, says that more than in any other city in the U.S., Seattle’s Sephardic community has hung onto the customs and practices of the former Ottoman empire. Seattle’s Sephardim say prayers that incorporate Ladino — a language that some scholars believe originated after the expulsion from Spain — and religious music with a Middle Eastern flair. This complicated identity may help explain why Ezra Bessaroth Rabbi Ron-Ami Meyers says he is not yet seeing wide-scale enthusiasm for Spanish citizenship. 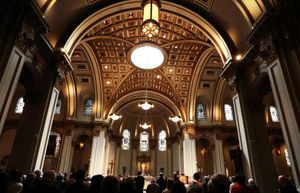 Luis Fernando Esteban, Spain’s honorary consul in Washington and Oregon, said Jews who reject their Spanish heritage may be missing an opportunity — specifically, the opportunity to immerse themselves in “15 centuries” of Jewish history, beginning with the Jews’ arrival in Spain as administrators for the Roman empire. Esteban said Spain’s libraries contain a wealth of Jewish texts, including those of the revered 12th-century Jewish philosopher Maimonides. Spanish citizenship has other benefits, too, Alhadeff pointed out. People without adequate health insurance could take advantage of Spain’s free medical care. And those in less prosperous or safe countries than the U.S. might see Spain as a sanctuary. A Spanish passport could facilitate travel throughout Europe and in countries that have tense relations with the U.S., said Alhadeff’s son, 36-year-old Loren Alhadeff. That’s one reason he said he’s very excited about the law. He also hopes it will reignite Sephardic pride among his generation. Still, he noted that he has two young children, 1 and 3, and a demanding job as a senior vice president of sales at a tech company. So he said part of his decision whether to seek Spanish citizenship will depend on the details of the process, which are not yet fully known. For instance, how hard is the language test? “I don’t know if I can carve out more time to take Spanish classes right now,” he said.